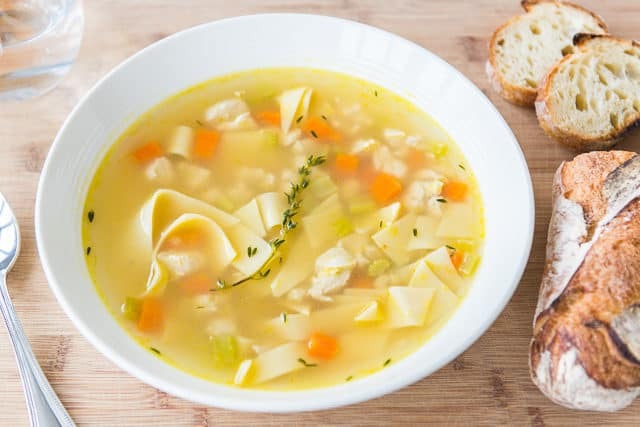 This quick Chicken Noodle Soup recipe is perfect when you want a hot bowl of comfort but don’t want to slave over the stove for hours. 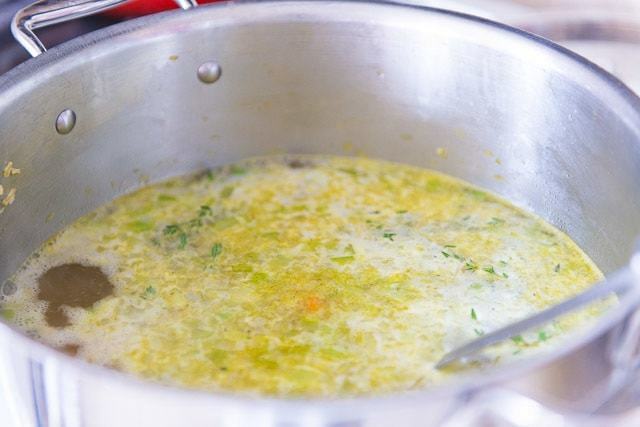 It has the simple, clean flavors you expect from this classic soup. There’s something to be said for the chicken noodle soup that takes 2 days to make, and starts from scratch with the whole bird. But when you’re sick and also the cook of the household, that’s typically not in the cards. For the past week I’ve been the kind of sick where at times you don’t even feel like you can watch TV on a laptop in bed, and this quick Chicken Noodle Soup has helped me get by. 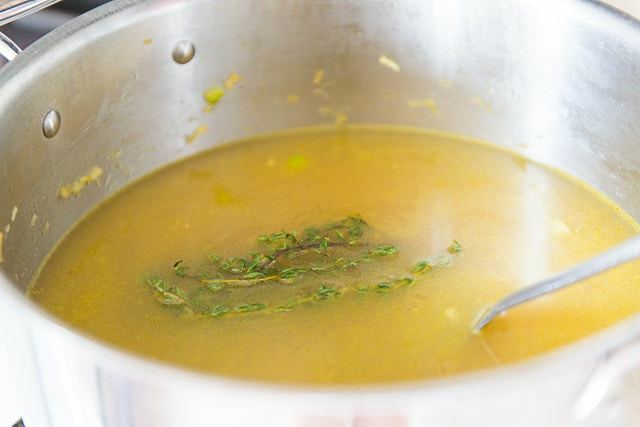 The tricks here for a quick version are to use a good quality chicken broth or stock, make sure to season the soup well (under salted soup is dreadful, isn’t it? ), and to include some sort of fresh herb, like thyme or rosemary. The flavors are clean and fresh! There’s a lot of customization that can happen for this soup overall, but especially with the noodles. 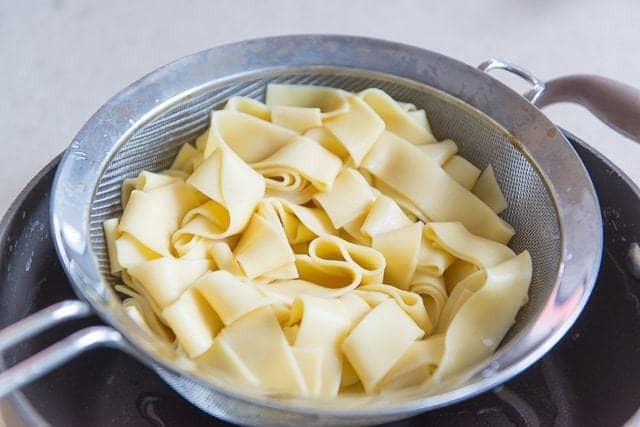 You can add any kind of pasta you’d like, like stars, spirals, and more, but I really love a wide pappardelle egg noodle. 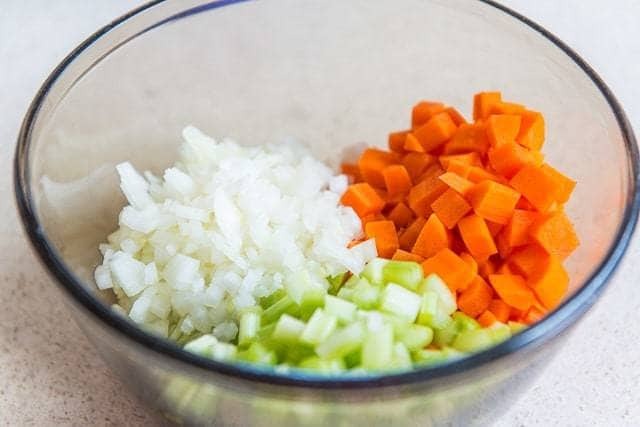 I include more carrots and celery than what is traditional for a mirepoix because I love tasting the carrots and celery in every bite. Make sure to buy a really good quality chicken broth for this, as the available options vary hugely in quality. If you google “best tasting chicken broths” you will see lots of posts where people did blind taste tests. My favorites are Imagine Organic Chicken Broth as well as Swanson, and I’ve noticed that these tend to rank well for others too. After 10 minutes of simmering time, I add some finely chopped chicken seasoned with salt and pepper, which cooks very quickly. Simmer the chicken for just a couple minutes, until fully cooked through. 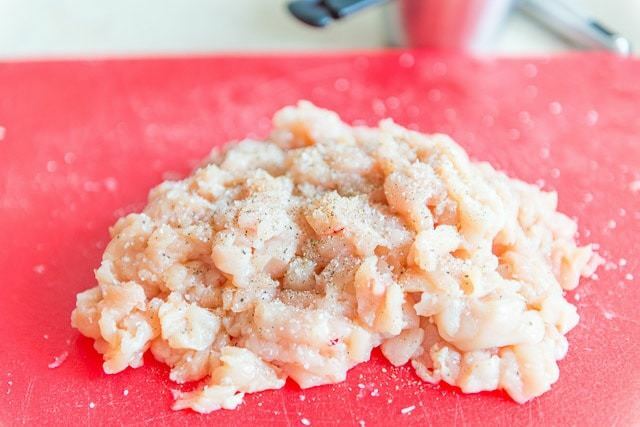 You can also just add pre-cooked shredded chicken, either from a store-bought rotisserie chicken, or Crockpot Chicken Breast, which I often keep on hand. As far as the pasta goes, I boil the noodles separately and also store them separately from the liquid, to avoid that mushy disintegrated noodle texture. When serving, just add a handful of noodles to the bowl and ladle over the hot soup. You can also use gluten-free pasta, or simply omit the noodles to make it low carb. Enjoy! Can chicken noodle soup be frozen? Yes, for up to three months. Chill it fully in the fridge before freezing. 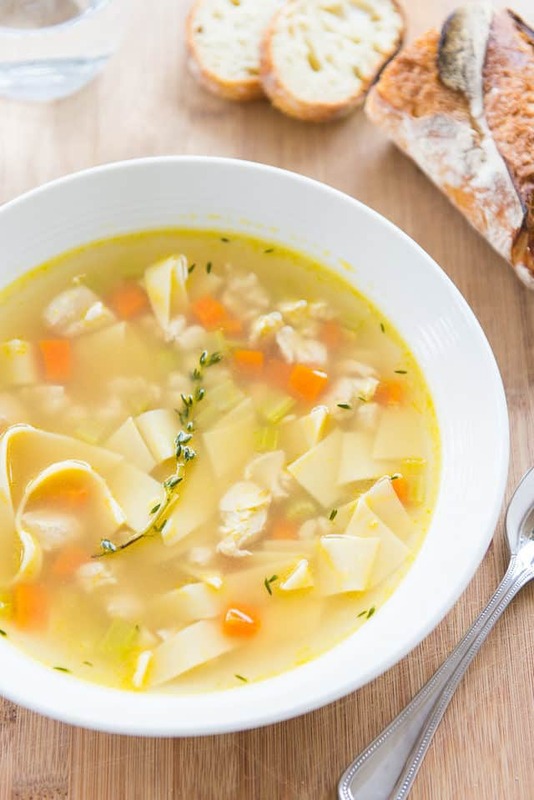 How long is chicken noodle soup good for? It lasts a solid 5 days at a minimum, and I can usually keep it for 7 in the coldest part of the fridge. 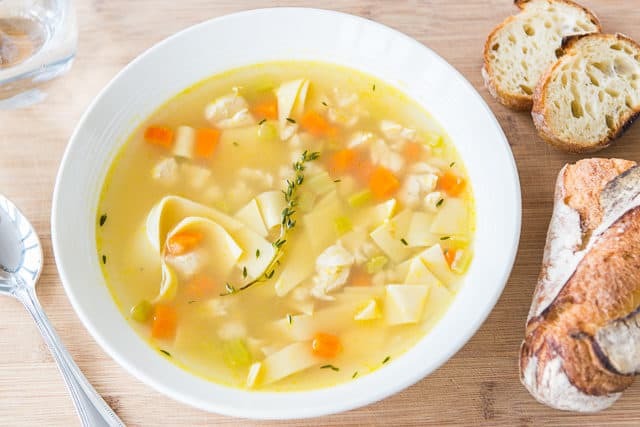 This quick Chicken Noodle Soup recipe is perfect for when you want a piping hot bowl of comfort but don’t want to slave over the stove for hours. 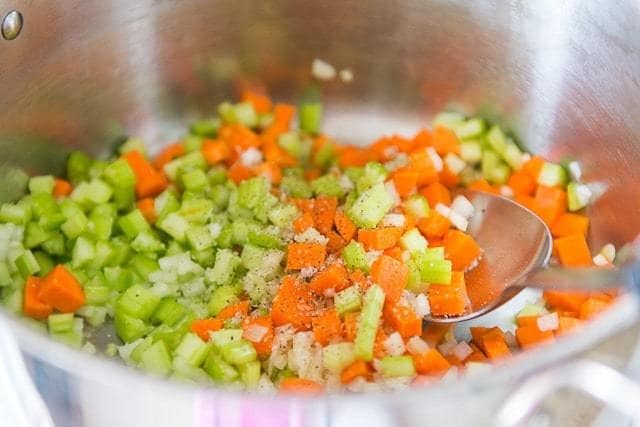 Heat a soup pot over medium heat, then add the olive oil, celery, carrots, onion, salt, and black pepper. Cook for 10 minutes until softened. 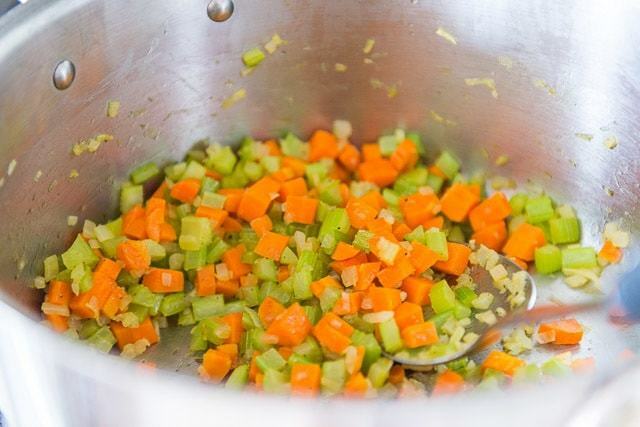 Add the chicken broth and thyme, bring the soup to a boil, then reduce to a simmer over low heat. Simmer for 10 minutes, then add the chopped chicken and simmer for 3 minutes, until the chicken is cooked through. Taste the broth and make any necessary seasoning adjustments. Depending on the salt content of the broth you use, it may need additional salt. Serve the soup in bowls with a handful of noodles added to each one. Enjoy! *Or you can do a few sprigs of fresh rosemary. 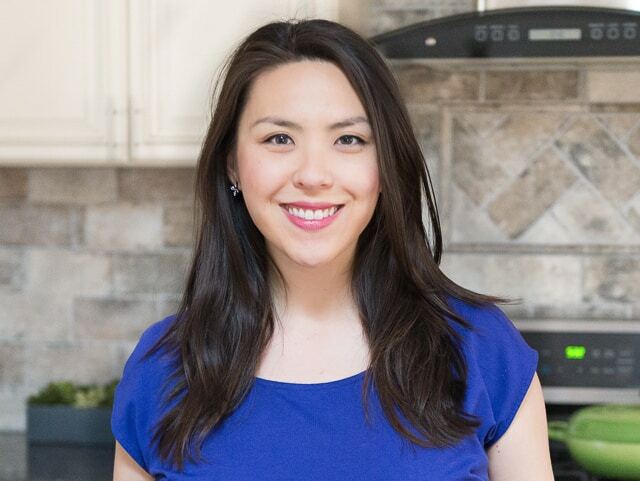 **I prefer to cook the noodles in a separate pot of boiling water per package instructions, and store them separately from the soup so the leftovers don’t get mushy and dissolved. I love this! I made it for dinner tonight in my dorm and it tasted like home. Reminds me of Panera chicken noodle soup a bit. I do think you might want to change the wording of the start of the instructions, though. I heated the pan and then added the oil, like it said, but when I poured in the oil the pan shot flames about two feet in the air and burned for almost a minute. Maybe I’m just inexperienced and didn’t understand your instructions, but that was not exactly the most relaxing way to start my cooking venture haha. 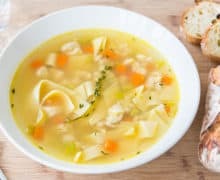 I tried this even though skeptical I’m used to a different type of chicken soup because of my Jamaican background but it was actually good quick and easy and my boys that don’t like soup they tried it and loved it .I would definitely recommend it to family and friends it’s a keeper in my house.Love it! Our whole family loved this soup last night. Bravo!! !